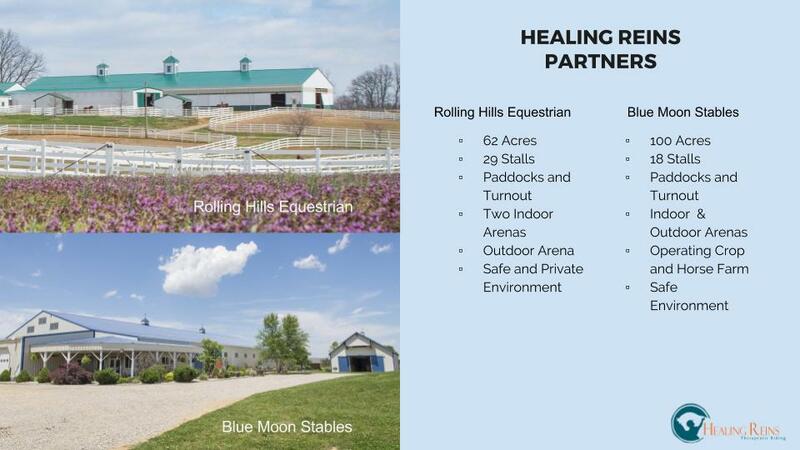 In 2017, two premiere equestrian facilities in Western Kentucky, joined together to host Healing Reins Therapeutic Riding Center. riding to the Tri-state area! committed to upholding the mission of Healing Reins. Healing Reins maintains a safe and quiet environment for their participants. Non-participants may make an appointment for a site visit with a Healing Reins representative.